Share your Happy Customers for a Chance to Win! We Love Seeing your Critters in Action! 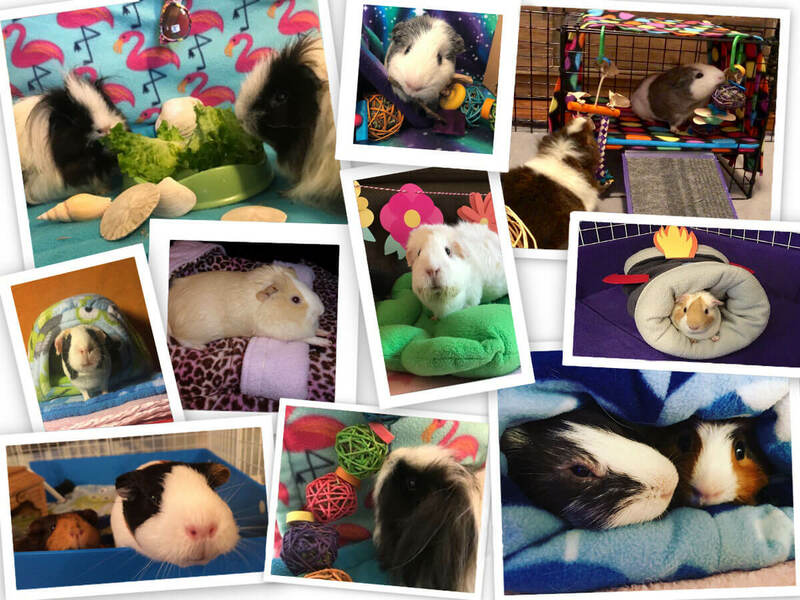 Our Marketing Program is a fun way to show off your critters using Guinea Pig Market products for a chance to win a $10 Gift Certificate. We are looking for high quality photos for marketing and sharing purposes. These photos may be published on our website, social media and/or used for any other marketing or promotional endeavors as we see fit. If we select your photo to use for our marketing, we'll send you a Gift Certificate for $10 -- any time. It can be used in addition to any of our current sales or promotions. Please include one or more of our products in the image. This means, not just your cute guinea pig, but your cute guinea pig in an item you received from a prior purchase here at the Guinea Pig Market -- our items using our fabrics or accessories. Photos should be in high resolution and good focus. Well-lit spaces and the use of a tripod can greatly improve the quality of photos. Photos with guinea pigs, hedgehogs, rabbits, ferrets, rats, chinchillas and other critters are welcome.